In this very minimalistic installation Markus Kison cleverly uses bone sound conduction transforming a public balustrade in an interface. 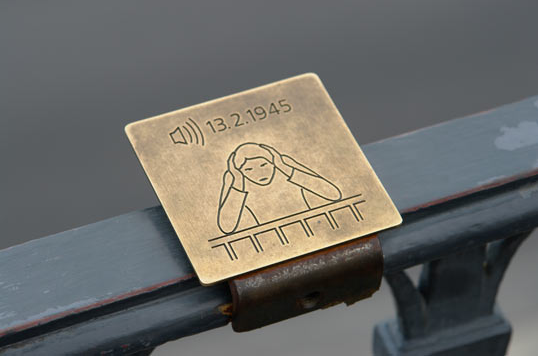 By placing their elbows in the baustrade visitors can hear the sounds from the air attack that took place back in 1945 in the city of Dresden. The sound is reproduced using a cd player and amplifier that sends the sound through the metalic balustrade and that lately arrives to our ears via our arm bones.